In Calistoga, 61.49 acre gated parcel with established small Cabernet Vineyard of approximately 4 acres. 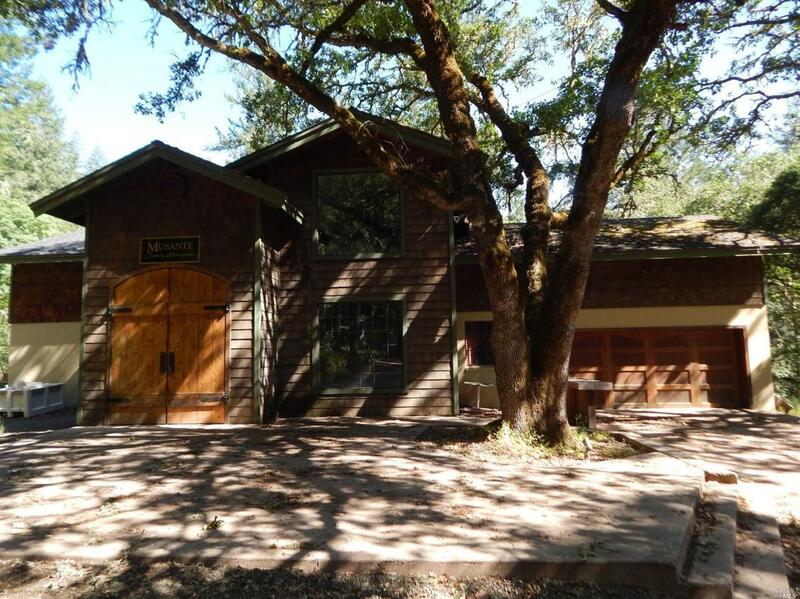 Large handsome Ranch building with bar area, storage areas, office & 2 car garage. Separate home includes stone fireplace, updated kitchen with granite & covered view deck & porch. Zoned LEA for a wide range of uses. Beautiful mountain, vineyard and tree views, peaceful, quiet and private. Three additional contiguous parcels listed. Listing courtesy of Susan Scofield of Coldwell Banker B Of V-Napa.